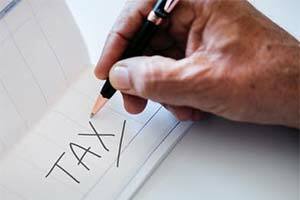 Tax returns can be useful documents when traveling, buying a home, doing business overseas, as they not only help prove your financial status, but your identity itself—your name, address, marital status, dependents, and so on can all be gleaned by looking over official governemnt tax returns documents. If you need to use tax returns for documentation in a country that speaks a language other than English, you're going to need to provide the court or government agency with a certified translation of the tax return(s). Fringe benefits of certified translation. And getting your tax return translation certified is not simply more government red tape, it will give you peace of mind, too. Certified translation will provide you with a signed and notarized statement attesting to the accuracy of your completed translation—a statement that will hold up if challenged in a court of law, so you know your tax return will be translated fully and accurately. What else might need translating? Contact us now for more information on how our tax return translation services can help you now!